If there is one type of racetrack Frank Kimmel looks forward to most on the ARCA Racing Series presented by RE/MAX and Menards schedule, it is definitely a short track. Short-track racing paved the way for both Frank Kimmel and his brother and crew chief Bill Kimmel Jr., and that shows when you look at their impressive record at Berlin Raceway. At only 0.44-miles in length, Berlin Raceway is the shortest track the ARCA Racing Series competes on, and a track that Kimmel has highlighted on the schedule. 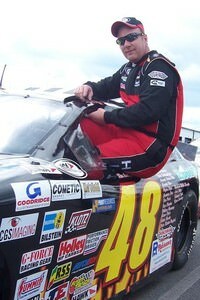 He looks to add to his impressive record at Berlin Raceway Saturday night under the lights in the Berlin ARCA 200. To say that Kimmel has a lot of success at Berlin Raceway is an understatement. In 11 starts at the 0.44-mile track, Kimmel has only finished outside the top-five twice, while earning nine top-five and 10 top-10 finishes. 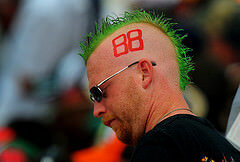 He comes to the track as the leading winner with three wins (1999, 2003, 2004) and one pole (2001). Kimmel is looking to build off his past Berlin success with another strong run in order to continue his points climb. Looking for a record-setting 10th ARCA Racing Series Championship, Kimmel has closed within 70 markers of leader Justin Marks and knows what he needs to do to close that gap. The ARCA Racing Series is set to hit the track at Berlin Raceway on Saturday, August 7. The 200-lap, 88-mile Berlin ARCA 200 begins at 8:30 p.m. EST, with live timing and scoring on ARCARacing.com and live audio coverage presented by the BAS Racing Network available on ARCARacing.com. On a Roll: Frank Kimmel enters this week’s race at Berlin sitting third in points after earning the pole and a seventh-place finish at Pocono Raceway. The top-10 finish at Pocono was Kimmel’s sixth in a row. Berlin History: In 11-career starts at Berlin, Kimmel has earned one pole (2001), three wins (1999, 2003, 2004), nine top-five and ten top-10 finishes. Kimmel earned his first Berlin win in 1999 in his first-career start at the 0.44-mile track. See You at Menards: Kimmel fans in the Michigan area will have a chance to meet Frank Kimmel this week. On Thursday, August 5, he will be at the Menards store in Comstock Park, MI from 6:00 – 7:30 p.m. EST. In The Points: After a string of six-straight top-10 finishes, Frank Kimmel currently sits third in points, only a mere 70 points out of the lead and a possible tenth championship. Autographs: On Saturday, August 7, fans will have an opportunity to meet Frank Kimmel and the rest of the ARCA Racing Series drivers from 6:15-6:45 p.m. on the front stretch at Berlin Raceway prior to the start of the race. Did You Know? : In 11 career starts at Berlin Raceway, Kimmel has completed every lap run for a grand total of 2,129 laps. Stepping Closer to History: Kimmel’s 42nd-career pole at Pocono Raceway put him one step closer to the top of the record books in another category – All-time ARCA Pole Winner. Kimmel now stands only one pole away from tying the record currently held by Iggy Katona. 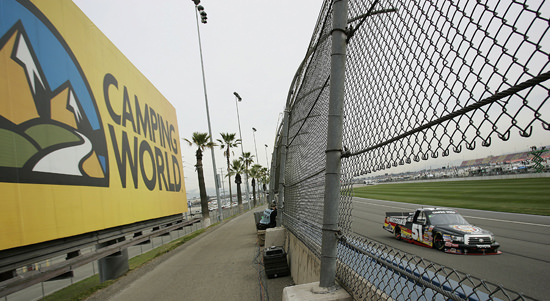 Follow Frank Kimmel: Want to know what happens when Kimmel is not behind the wheel of his Ansell/Menards Ford Fusion? Fans can logon to www.facebook.com/frankkimmelracing to follow him on Facebook and www.twitter.com/frankkimmel to follow him on Twitter. Frank Kimmel, driver in the ARCA Racing Series Presented by RE/MAX and Menards, is a record holding 9-time champion. 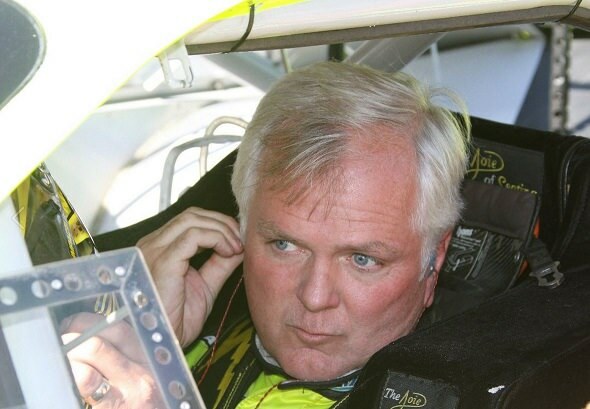 Co-owner of Kimmel Racing, the Indiana native has earned 74 wins, placing him just six races shy of the number one spot on ARCA’s all-time win list. With 44 poles, 230 top-five and 294 top-ten finishes, the racing veteran has accomplished many great feats in his 18 seasons in the series. Kimmel and the Ansell/Menards Ford team look to continue to break records in the 2010 season.